Way, way back in the 1960s I worked for my high school newspaper. Among other things, I covered the school baseball team. It was fun, but fairly thankless. I’ve written about this team occasionally. It was, as a rule, pretty awful. In an eight team conference it generally finished somewhere in the middle of the pack. So I would attend the home games, keep score, and write-up a tale about the latest loss. For away games, I had to check with the coach the next day, because the school didn’t send a reporter with the baseball team when it travelled. The football team, on the other hand, had a guy who went to both home and away games and travelled with the team on the same bus (actually the football team took about 3 busses because of the size of the team and the amount of equipment). The basketball team got the same treatment as the baseball team. But finally in my Junior year the school found a baseball savior. His name was Harper (I’ve done a couple of stories involving him) and he had a curve that fell off the table and a fastball that he could blow through a brick wall. I don’t recall his record, but he was something like 10-0 and the rest of the staff did just well enough to get the team to a conference championship. Harper had moved in from Kansas and I became one of his buddies so I was able to get inside information on the team that made my stories better (OK, this is high school, not the Denver Post). Well, no one quite knew what to do with a championship. We’d never won one before. The state of Texas had a state championship and all the conference champions got to participate. First, you had to win a regional of four teams, then all the regional champs (I think there were eight) went to the state tournament with the winner becoming the toast of Texas High School baseball (such as it was). When the football team played, there was a big “pep rally” with bands and cheerleaders and a lot of “rah-rah” stuff. For us, we got to leave without a crowd to send us off. So the team got on a bus and headed south to the regional tournament. In a fit of hubris they decided to request the school paper send along a reporter (that would be me) to cover the games (it was double elimination, so you were guaranteed two games). It was also the only time I got to travel with the team. We took one bus (there were about 15 guys on the team) with the entire team, the head coach (the assistant coach drove and carried the equipment in his car), and me on the bus. We ended up with a bit of a problem. The team had an odd number of guys plus two coaches, so one of the players would get a room to himself. As the star, Harper got the single and insisted I bunk in with him. That meant that we had a chance to talk a lot of baseball, a lot of school stuff, much of which revolved around girls. 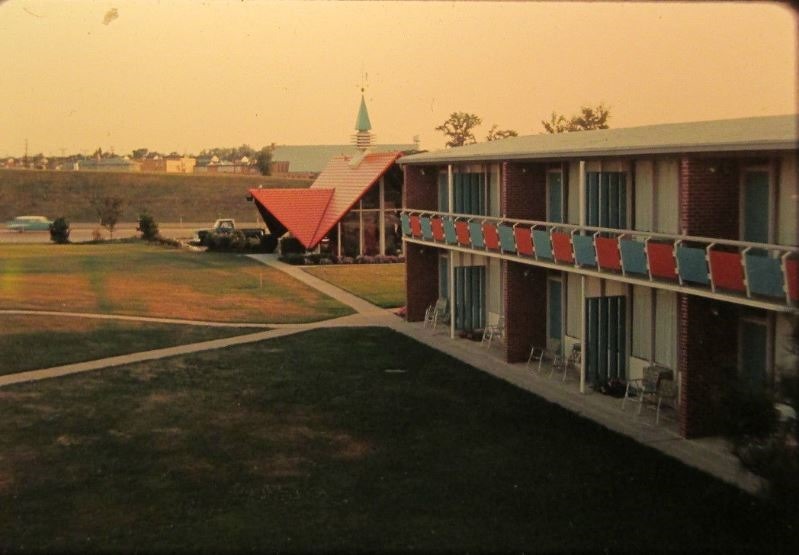 It was one of those 1960s motels that had two stories strung out in front of a parking lot with the vending machines in a breeze way that was in the middle of the row of rooms and an office at one end. There was a restaurant that shared the same parking lot, but wasn’t officially attached to the hotel. The picture above isn’t the same one we stayed in, but it looks enough like it for you to get the idea. The room was pretty standard, a couple of beds, a mirrored dresser with a few drawers, a round table with two chairs, and two tables set one beside each bed with a lamp on each and a Gideon Bible in one of the drawers. The bathroom had a simple sink, a tub/shower combination, a toilet, a mirror, and a couple of towels that had seen better days. I have no idea how much the rooms cost because the school paid for them. We got there in the evening and the tournament started the next day. Harper drew game one, a morning game, and we beat the other team. I don’t remember the score, but I do remember that he gave up only one run. Everyone went a little nuts. No one could ever remember our team winning a state tournament game ever. The coach was going crazy, the few fans in the stands (the parents of a handful of the players) were going crazy, I was bouncing up and down on the bleachers, Harper was taking it in stride. The problem was that if you pitched in a game, the state rules required you get 36 hours off before you could pitch again. You could play, you just couldn’t pitch (Harper went to second base in the next game) and the next game was an evening game against the other winning team. Of course we lost. I don’t recall it being particularly close. That meant we went to the losers bracket where we played the survivor of the other losers bracket game. The problem was that it was a morning game the next day. That meant our ace couldn’t pitch game three (if we won, he could pitch game four, which was the evening game). You know where this is going, don’t you? We got clobbered in game three and thus finished 1-2 for the tournament and third overall. The school had paid for that night so we stayed and watched the evening game. The team that was undefeated went on to win it and won the tournament. They later went out early at the state level. Mostly the team was upset, but Harper took it well. He’d done all he could and told me he didn’t feel bad. What else could he do? It was to be his last game. He got a scholarship offer to one of the schools in Texas, but went back to Kansas to go into pre-law. The rest of the team cried a lot, I cried a little. The next morning we packed up, got back on the bus, and headed home. It wasn’t as joyous a group as when we left, but the funeral atmosphere had worn off by then. We got back in the afternoon. There was no crowd to applaud us when we arrived. Harper had a car; I didn’t. He drove me home. How do you win a ballgame? It’s actually not a trick question. You win by scoring more runs than the other guy. All this stuff about home runs and doubles and RBIs and WAR and OPS+ is just about how you go about scoring runs. In the history of Major League Baseball, going all the way back to 1880, the most woeful team at doing what you have to do to win is the 1908 St. Louis Cardinals. First, a couple of caveats. The 1880 Cincinnati team scored 296 runs, but it was in a total of 80 games. The 1882 Baltimore team got 272 runs. 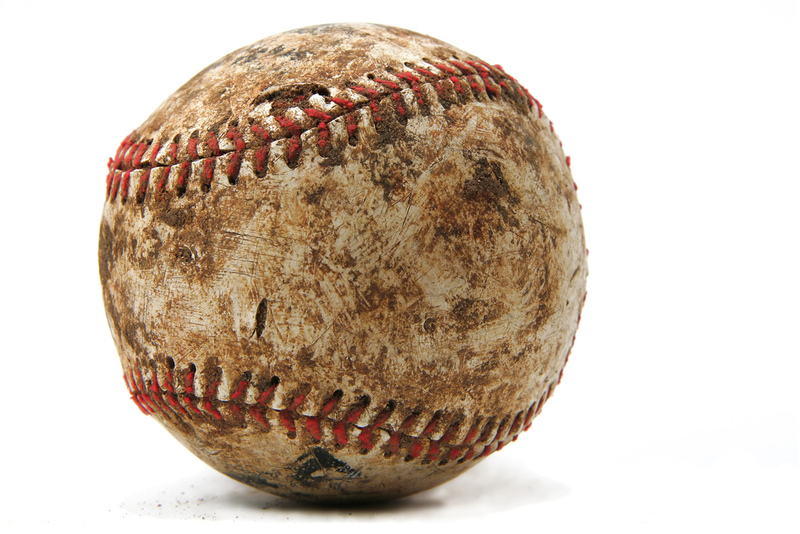 The all-time record low for runs scored is 24 by the St. Paul Apostles of the Union Association in 1884. But they only survived for nine games. 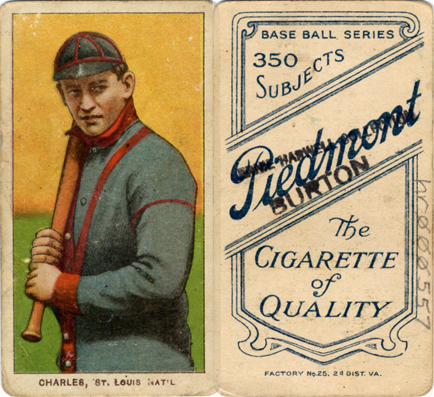 For something like a modern season of 162 games (or 154 by 1900) the 1908 St. Louis Cardinals are the non-scoring champs with (get ready for it) 372 runs scored over 154 games (49-105 win-loss record), or about 2.4 runs a game. And while we’re at it, they are low with only 301 total RBIs for the season (1.95 per game). We should also take a moment and praise the Brooklyn Superbas for their own magical 1908. They went 53-101 and scored all of 375 runs in the season (also 2.4 a game) while the New York Highlanders (now the Yankees) dropped to the bottom in the American League with 459 runs scored (2.96 runs a game–and the Highlanders played 155 games). And for what it’s worth, those extra three runs got the Superbas four more wins than the Cards while the Highlanders split the difference, winning two more games than St. Louis. Now at this point I just know you’re dying to know who are these all-time greats that managed an all-time low in runs scored while playing at St. Louis, so I’m going to oblige you (You knew I would, didn’t you?) The big gun (well, sorta) was Red Murray a 24-year-old outfielder who hit .282 and led the team with 64 runs scored (just over 17% of all the team’s runs) and 62 RBIs (20% of the team RBIs). 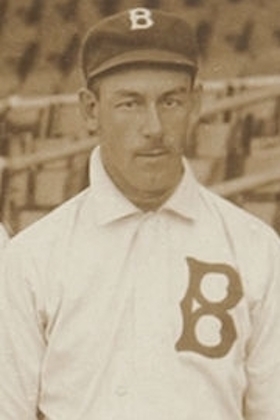 Second on the team in both runs and RBIs was first baseman Ed Konetchy with 46 runs and 50 RBIs (that works out to 12% of the team’s runs and 17% of the team RBIs). The other two outfielders, Al Shaw (40 runs) and Joe Delahanty (37 runs and 44 RBIs) did much of the remaining damage. Murray, Konetchy, and Delahanty were the only players with more than 20 RBIs (Shaw had 19). And finally, backup infielder Chappy Charles had 39 runs scored, good for fourth on the team (just over 10%). So how does all this compare to some of the other teams in 1908? Well, Fred Tenney led the NL in runs with 101, Honus Wagner had 100, Tommy Leach had 93, Fred Clarke had 83 (as did Johnny Evers). Add ’em up and you get 377, more than the entire St. Louis (and Brooklyn) team. In RBIs, Wagner led the league (of course he did, it’s 1908) with 109. Mike Donlin had 106 and Cy Seymour had 92. That’s three players who added together had more RBIs than poor old St. Louis. I suppose that if your team is doing poorly, it’s no comfort to know the 1908 Cardinals existed. But in the deadest of all Deadball seasons, they set a record. I’m not sure how you celebrate that kind of record. In keeping with the idea that an individual game that appears meaningless in the standings can be interesting, here’s a look at a game played 7 August 1908, 110 years ago today. On this date 110 years ago, the Cincinnati Reds were in Brooklyn for a Friday game. They were led by future Hall of Fame manager Miller Huggins and sent pitcher Bob Ewing to the mound. The Superbas (again, the “Dodgers” would come later), led by first baseman Tim Jordan responded with pitcher Nap Rucker. The game ended 5-3 with the Reds grabbing a lead in the fourth and adding three more in the sixth and tacking on a final run in the eighth. The Superbas got two run in the seventh to narrow the lead to 4-2, but were unable to tie it up. in the bottom of the ninth, they got one more run to give Cincy a two-run margin. Ewing got the win and Rucker, who went eight innings (relieved by Jim Holmes for the ninth), took the loss. At the end of the day, the Reds were at .500, 11 games out of first (in fifth place) and Brooklyn was 23 games out in seventh (next-to-last place). “So what?” you ask. Glad you asked. There were four games played that day (it was a short schedule) and in this game Huggins had a double and a triple. He neither scored a run nor knocked in any of the Reds five runs. Jordan hit a two-run home run to account for a third of the Superbas’ three runs and two of their three RBIs (shortstop Phil Lewis had the other RBI when he knocked in Jordan). Harry Lumley was on base when Jordan homered. Jordan would go on to lead the National League in home runs in 1908 (one of the few hitting categories not monopolized by Honus Wagner). Again you ask, “So?” Well, here’s the thing. The double and triple by Huggins and the Jordan homer were the only extra base hits the entire day in either league. The other scores were 7-0, 3-0, and 2-1. There were a total of 36 hits in the other three games, all were singles. In the Cincinnati vs. Brooklyn matchup there were 14 hits, a total of 50 hits in the day, only three, all in the same game were for extra bases. There were also 11 errors spread among the games and 22 total walks. The 7th of August 1908 is an excellent example of Deadball baseball at its finest. The 1908 season is primarily famous today for one play in one game, a game between the Giants and Cubs. The game I want to look at today isn’t nearly as famous, but the quirk in it is worth noting. In 1908 the teams from Brooklyn and St. Louis were in a dogfight for last place in the National League. It took a while, but eventually St. Louis would prevail and finish four games behind Brooklyn. One of the reasons for that five game gap occurred 4 August 1908, 110 years ago today. The game was played in Brooklyn with the Superbas (Dodgers would come later) sending Kaiser Wilhelm to the mound. 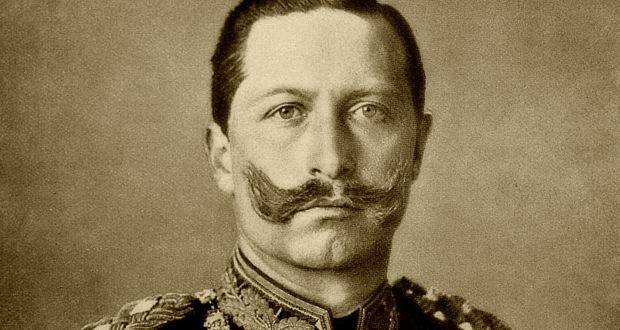 In 1908 if you were named Wilhelm, “Kaiser” was sort of an obvious nickname. Here’s a picture of the non-baseball playing Kaiser Wilhelm, and his baseball counterpart. Neither lineup had names that are familiar today (except maybe the German Kaiser) with a pair of first basemen, Ed Konetchy of St. Louis and Tim Jordan of Brooklyn being the main players for each team. 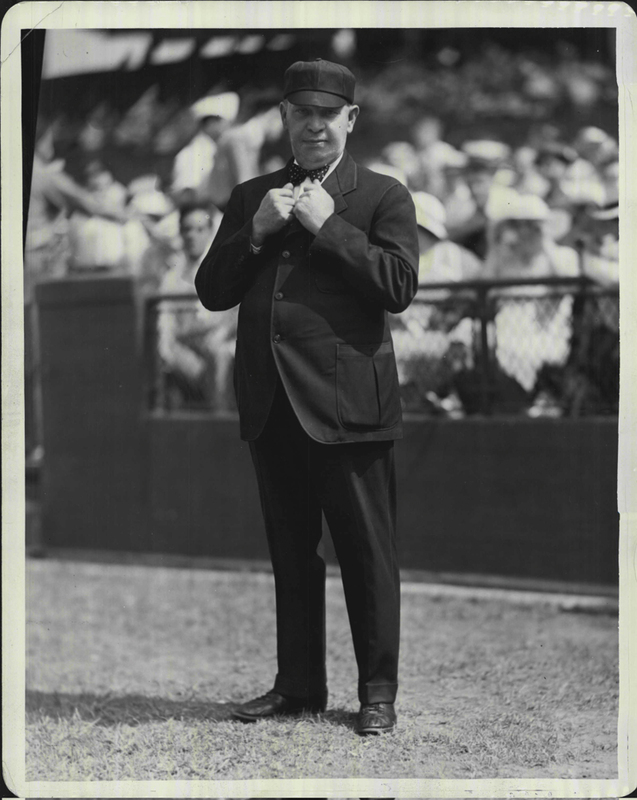 The only Hall of Famer involved in the game was umpire Bill Klem (see picture above). Brooklyn won the game 3-0 with runs scored in the fifth, sixth, and eighth innings. The latter run was scored off reliever Ed Karger. Center Fielder Bill Maloney who was hitting .191 at the end of the game hit a home run (he hit three all year and managed to get to .195 by the end of the season–obviously he had a hot streak late). A stolen base and a Jordan double plated the earliest run and another stolen base followed by a long single scored the other (typical Deadball Era runs). Wilhelm managed to shut out the Cards on three hits (all singles) and a walk, while striking out six. At the end of the day, Brooklyn was five and a half games out of last place in the NL. The game took one hour and twenty-five minutes to play. So why am I telling you about this otherwise obscure and unremarkable game? Well, according to a number of sources the entire game was played using exactly one baseball. It seems umpire Klem thought the ball was in good enough shape to keep it in the game and never changed to a new ball. Somehow it’s absolutely appropriate for a Deadball Era game to be played with one baseball. Here’s the next update in my continuing look at the 1908 season (110 years on). With approximately two-thirds’ of the 1908 season gone, the pennant race in the American League was taking shape seriously. Detroit, St. Louis, Chicago, and Cleveland all had winning records and held down the first division. The Tigers were two games up on the Browns, with Chicago 5.5 back, and Cleveland at eight behind. 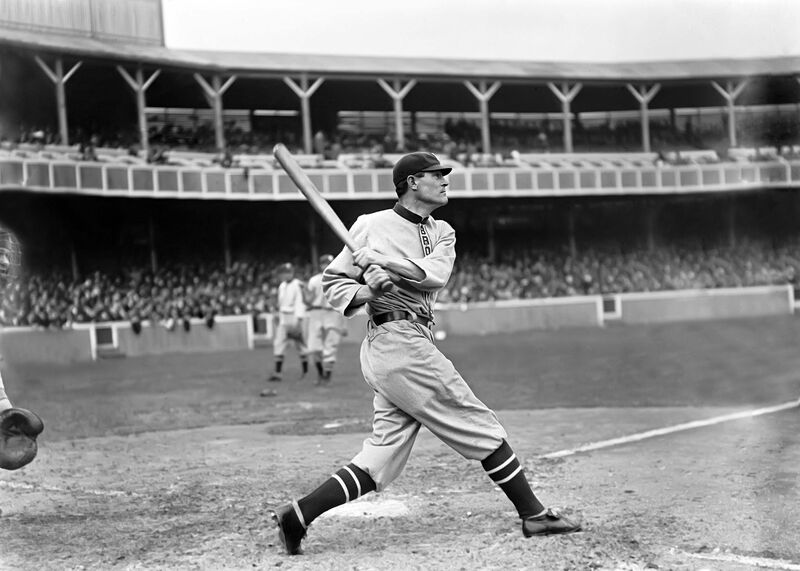 For Detroit, Ty Cobb was hitting .346, but fellow Hall of Famer Sam Crawford was only at .287. Chicago was standing behind Ed Walsh on the mound and 37-year-old George Davis (in his next-to-last season). Davis was only hitting .212. For Cleveland Nap LaJoie was having a down season so far (.269 with four triples), but the pitching (read Addie Joss here) was holding up. For the Browns, Bobby Wallace, their most famous player, was also having a bad season (hitting .269), but pitcher Rube Waddell was doing well (By WAR, a stat unknown in 1908, Wallace was having a terrific season. He’d end at 6.3). Among the also rans, the Highlanders (Yankees) were in last place, 25 games out. 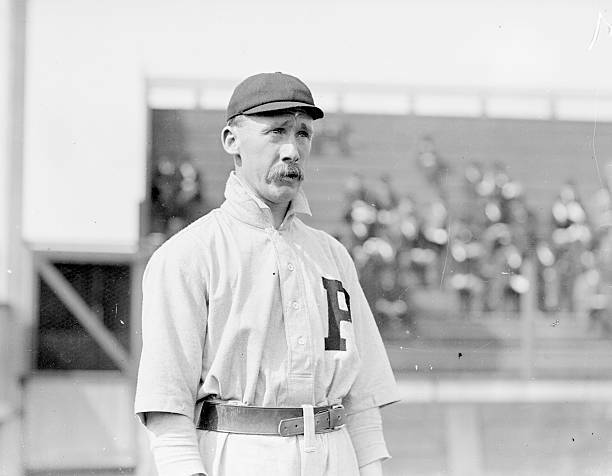 In the National League, five teams winning records on 31 July: Pittsburgh, Chicago, New York, Philadelphia, and Cincinnati. The Pirates were a half game up on the Cubs, two up on the Giants, 6.5 ahead of the Phils, and eight up on the Reds. St, Louis was all the way at the bottom 23.5 games out of first. The Pirates leaders, Tommy Leach, manager Fred Clarke, and Roy Thomas were a mixed bag at the end of July, but the team revolved around shortstop Honus Wagner. By 31 July, he was hitting .328 with an OPS of .939. 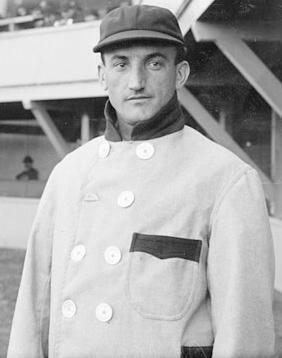 Chicago, relying on the Tinker to Evers to Chance infield and Three-Finger Brown, was also getting good years out of Harry Steinfeldt, the other infielder, and a 21-year-old backup named Heinie Zimmerman. 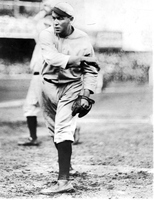 For the Giants it was a standard John McGraw team with great pitching from Christy Mathewson and Hooks Wiltse (with an assist from part-time pitcher, part-time coach, Joe McGinnity), and 3.0 WAR from first baseman Fred Tenney. Philadelphia played Cincinnati on 31 July and the Phillies win put the Reds another game back. Philadelphia’s John Titus was having a good year and for the Reds Hans Lobert was leading the hitters. The season still had two months to go, two terrific pennant races to conclude, one utter memorable game to play. But it also had one of the more interesting games coming up between two also-rans in just a few days. You are currently browsing the Verdun2's Blog blog archives for August, 2018.